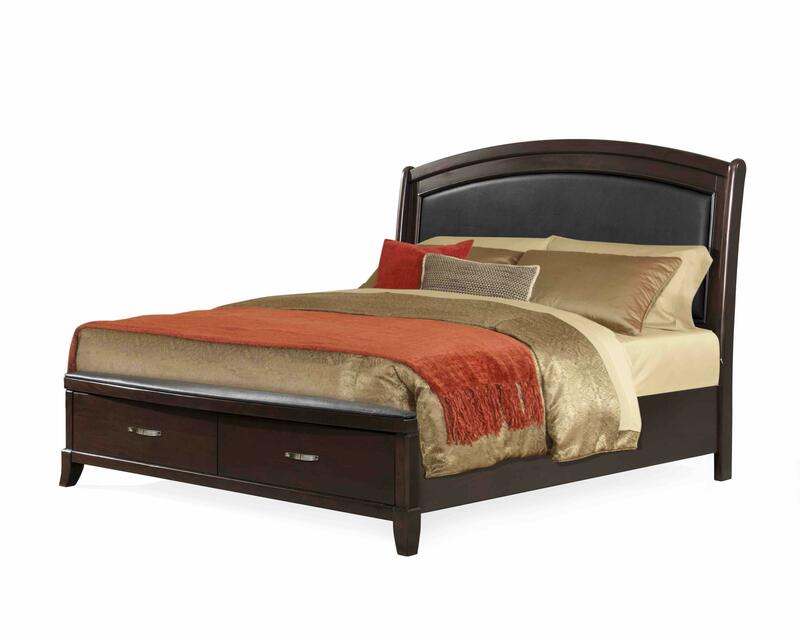 The Picket House Furnishings Elaine King Platform Storage Bed combines sophisticated style with a transitional design. Enjoy its rich espresso finish, storage in the footboard, and sleek silver brushed handles. A faux leather headboard completes this stylish look.